Some women collect shoes, I however have a different obsession! When you walk into my classroom one of the first things you will notice is my giant classroom library. I have such a collection that other teachers, and sometimes even the librarian, will come to me looking for books. And while the collection is quite massive now, it certainly has taken time and some creativity to build. 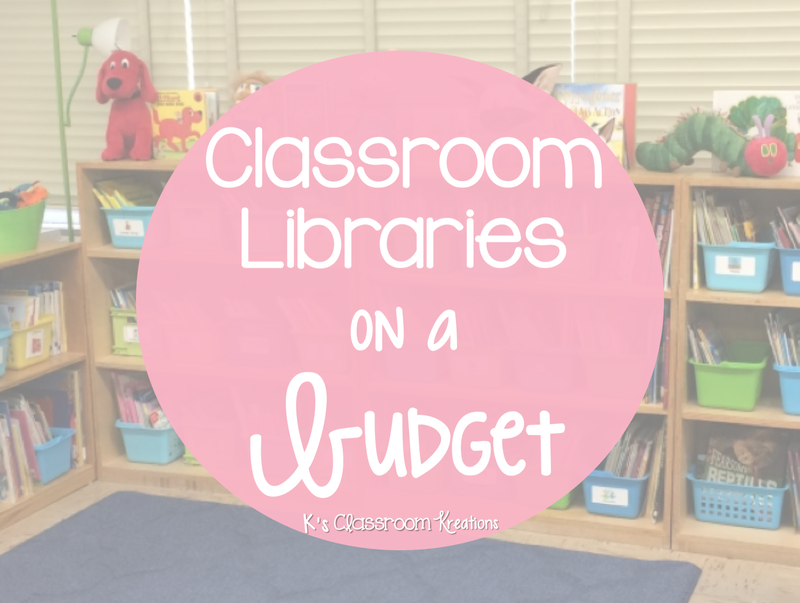 Today I am going to share some of my favorite ways to add to your classroom library, without constantly breaking the bank. Before I begin I just want to say that you can have a wonderful classroom without a huge collection of books. Especially if you are just starting out. Your collection can grow with time, and others prefer not to have a large library at all. You do you, no worries! But for me, my library is my pride and joy. 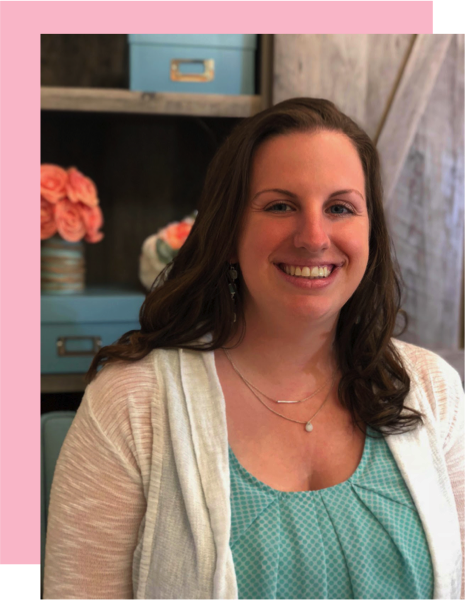 The most important part is that your students are in a print rich environment, see you modeling your enjoyment and excitement for reading, and have access to a variety of levels and genres of books. So here we go, let's build you a library! Did you know that many public libraries have book sales? They often discard their gently used books (hardback and paperback) throughout the year. 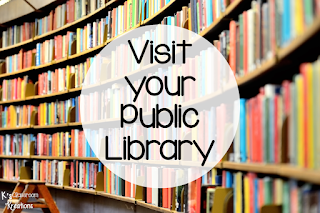 Sometimes you have to have a membership to the library but it is worth asking your local library about. I have been known to get hundreds of books for less than $25 at times. Speaking of the library, sometimes you don't even have to buy the books you need! When I first started teaching I would use my school library and public library a lot more often. Check out a bunch of books at a time on a topic and swap them out when you are ready. Just be sure to let your kids know that these books need to be taken care of extra well ;) Also, if you are looking for seasonal books, try to get there in advance so you have a better selection. If you have a 2nd & Charles near you, you have to stop by! They allow you to sell your old books (movies, CDs, etc.) and get credit for new ones. If you don't have items you want to sell, you can also just go in and shop. Although the books are gently used, they are a fraction of the price. And let’s be honest, your class is going to use them even more. You can also check consignment shops, Goodwill, the Salvation Army, and even yard sales. 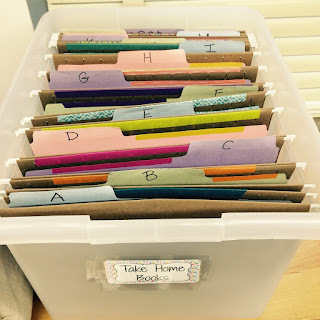 So this one is not something I can necessarily do due to the population of kids I work with (my goal is to get books into their house, not remove any of the few they have), but it is a great option depending on where you work. Ask the families in your classroom to keep you in mind as they clean out their child's bedroom or see books on sale somewhere. Any donations are appreciated. Hey, maybe even your own children have outgrown a few of their books? The most common way I add books to my classroom library is through Scholastic Book Clubs. Remember getting those flyers with so many fun new books when you were younger? Me too! Just pass out the flyers and have parents send in money, or order online. If they order online they can use their credit or debit cards which makes it even easier for you. Some years you may have better participation than others but it is worth trying with new class. You can use bonus points and coupons to earn TONS of free books and classroom materials. Scholastic also has Warehouse Sales where you go into their Book Fair storage buildings and shop right off the racks (with varying discounts and coupons). The one near me holds their sale twice a year. The best part is being able to volunteer to work. I sign up to work for one Saturday during the sale and get “paid” in book vouchers. The sales are usually held before Christmas and the end of the school year so I stock up on inexpensive student gifts for both occasions. If you know small businesses in your community (and sometimes larger ones), they may be willing to help sponsor your classroom or even school. Nearby churches also sometimes partner with schools so this is something worth looking in to. Even better if they have members who would like to come in and read to students! Maybe they could raise funds and chip in towards a gift certificate to a book store. Maybe they could go through their own houses to round up used books. Maybe they could host a book drive and get even more of the community involved. Or maybe, they can just make a good old fashioned (tax write off for them) cash donation. Have you heard of Reading A-Z? 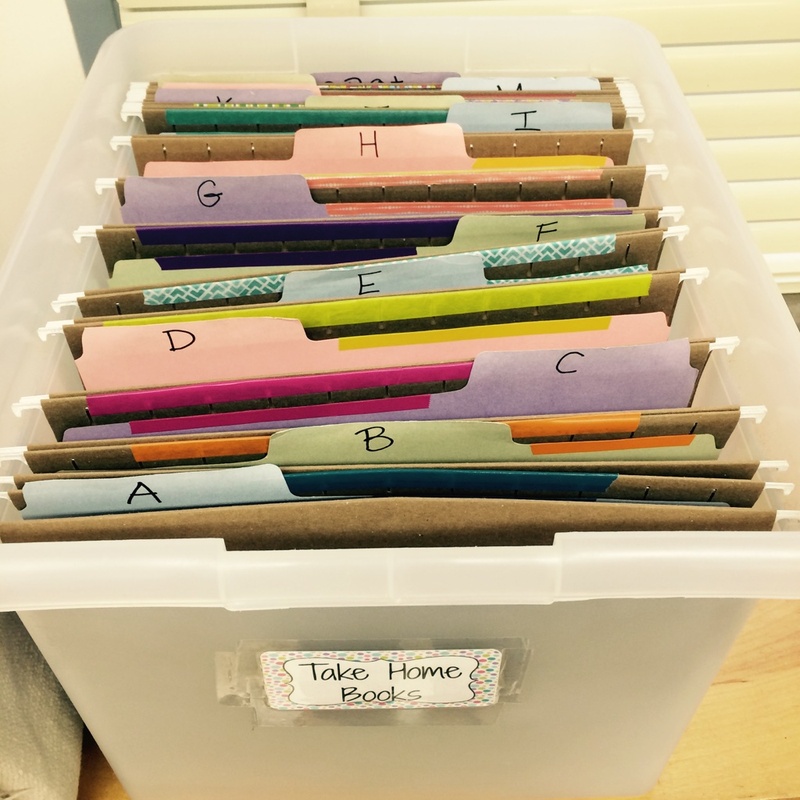 This website has literally thousands of leveled books that you can print to keep in your classroom. I use these books for my small groups, take home books for extra practice, and to build up my classroom library with a certain level or topic if I am lacking. You can print them in color or black and white, in various sizes. I usually print the small “pocket book” size books to save on paper. They also have an online RAZ Kids version where your students can pull the books up on their tablets of laptops for paperless copies of them. 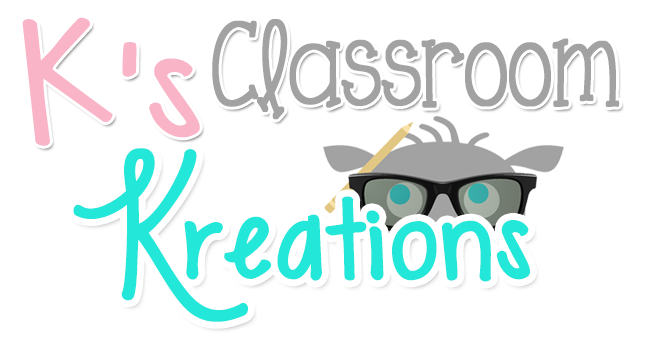 Create a Donor’s Choose project or Amazon Wish List online listing the materials you would love to have in your classroom. Post the link to this baby on your Facebook page, send it in an email, and share, share, share with friends and family. Who knows, even if someone you know directly isn't able to contribute, they may still have connections with someone who can. Even if you have a huge classroom library, an awesome online resource is Epic. 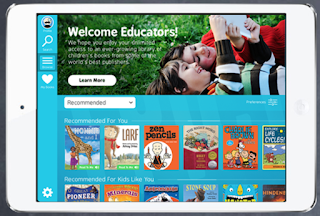 This online FREE platform has thousands of digital children books. This app isn't like some with junky books; the ones available are just like the ones you'd find in your classroom. 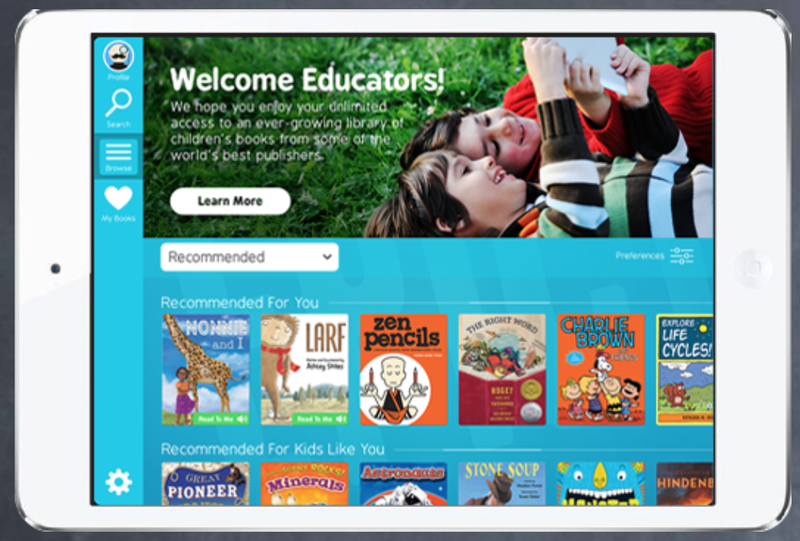 Some books can even be read aloud to your students through the app. If my grade level (common planning and lesson plans) can't find enough copies of a book at our school to all use, we project one of these on our Smartboards. You can also create and share collections of books based on what you are studying, student interests, or reading abilities. 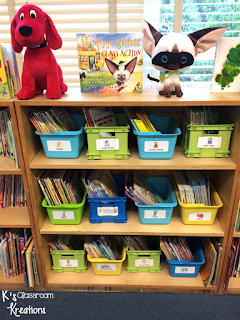 Lastly, the best way to build your classroom library is to do it slowly and over time. Believe me, the girl who ate Ramen Noodles far too often my first year of teaching because I spent money on books instead of groceries! 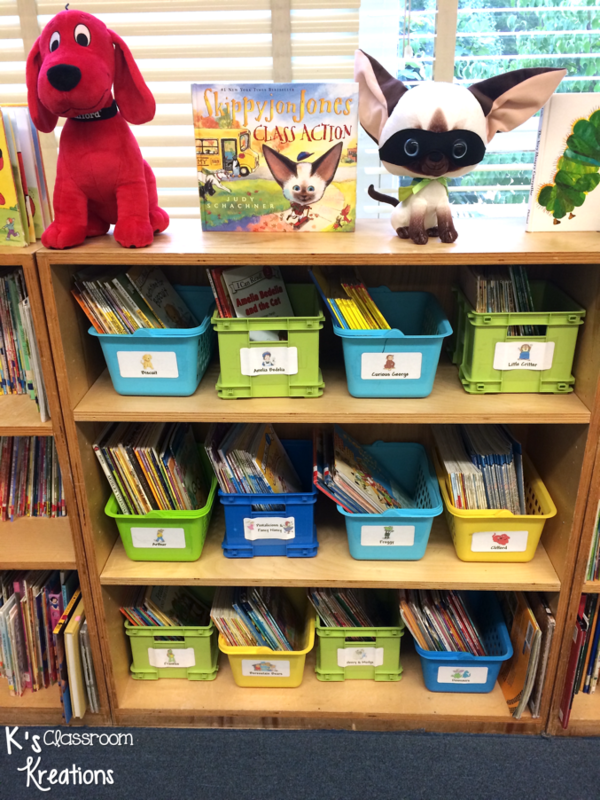 Stock up on some class favorites, a variety of fiction and nonfiction topics, and teacher read alouds as you go and interests change. It's better to have books that your students love and read often than thousands no one looks at. Did I forget anything? What tip do you have to build a classroom library? You have given us the great tips in order to make a perfect and amazing library for ourselves. These tips are really easy to implement too. Thanks for the wonderful post. In your blog I was happy to see your article, better than last time, and have made great progress, I am very pleased. delhi best schools I am looking forward to your article will become better and better.